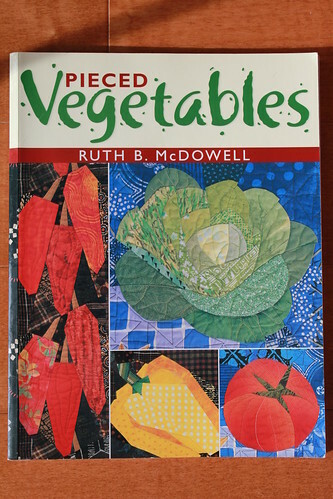 When I first saw Ruth B. McDowell’s quilting book “Pieced Vegetables”, I thought I had died and gone to heaven! 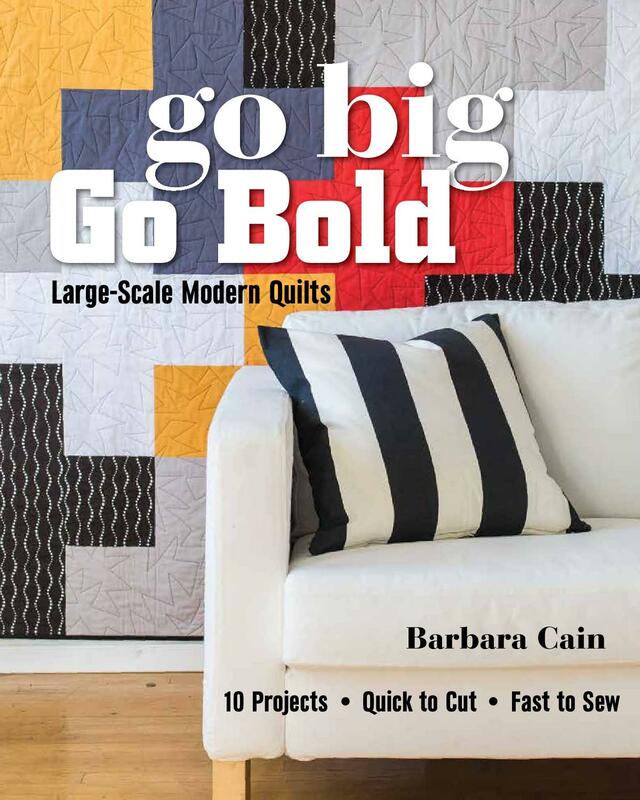 Neither before nor since has a quilting book ever caught my attention and held it for so long. Ruth is a true artist and a genius. Her creativity and technical ability are a wonder to me and have truly been an inspiration. 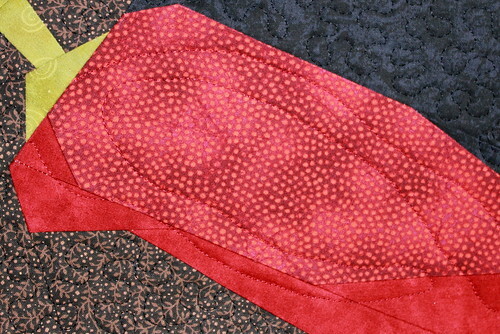 I have a short attention span and bore easily when working with repetitive elements and similar colors. This is likely another reason why I just love Ruth’s “Pieced Vegetables” book. 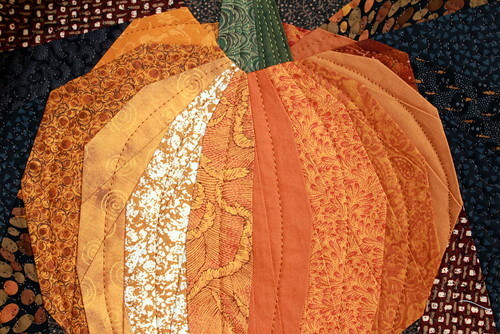 It offers plenty of variety in shape and in opportunity for use of color and pattern. 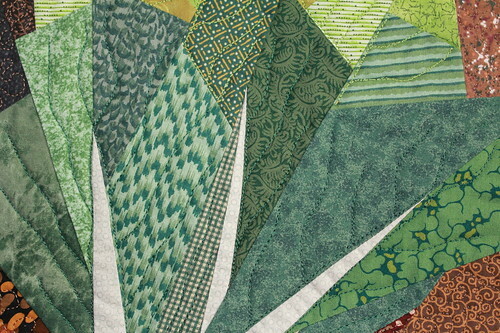 I’ve started assembling a number of individual veggies, having great fun experimenting with color value, pattern and machine quilting techniques. The majority of the units that I have made are based verbatim on Ruth’s patterns however I took artistic license with a few of them and made modifications to suit my preference. 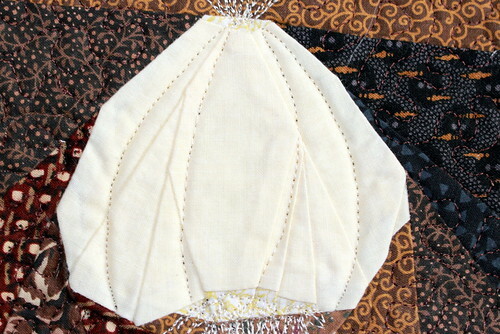 I’ve added some creative stitching or an extra piece or two of fabric here and there. 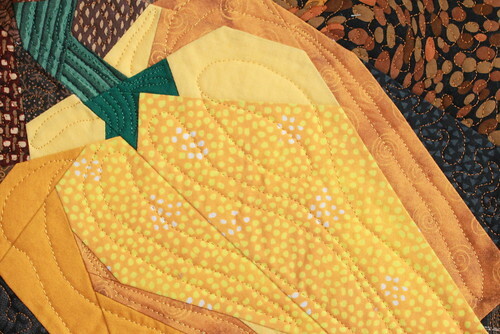 I didn’t need to purchase much in the way of new fabric; I had plenty of greens, yellows, oranges and browns in my stockpile. I did however need to augment my supply with the purples and deep reds used in the eggplants and the beets. 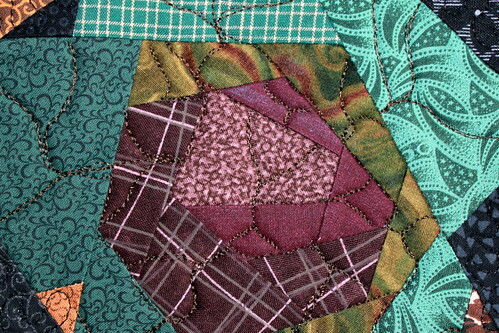 Once I became comfortable with the foundation piecing technique, I created a few designs of my own. After all, what good would all of those vegetables be without a little bit of garlic! 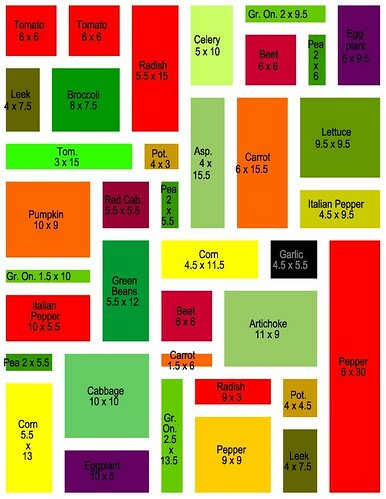 When my individual veggies are complete, I plan to assemble them as depicted in the arrangement above. 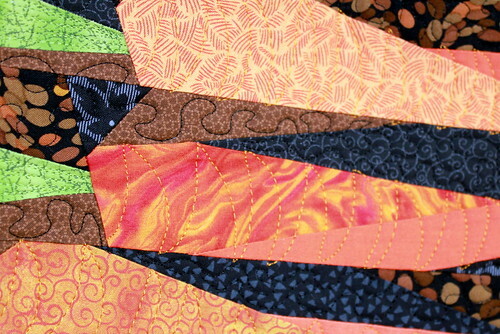 I’ll include an earth colored sashing between the units and will bind with the same.